A major motion picture, based on the book and starring Jenny Slate, Gillian Anderson, Zach Galifianakis, and Alex Sharp, is an official Sundance selection. In the beautiful, barren landscape of the Far North, under the ever-present midnight sun, Frances and Yasha are surprised to find refuge in each other. Their lives have been upended--Frances has fled heartbreak and claustrophobic Manhattan for an isolated artist colony; Yasha, a Russian immigrant raised in a bakery in Brighton Beach, arrives from Brooklyn to fulfill his beloved father’s last wish: to be buried "at the top of the world." They have come to learn how to be alone. But in Lofoten, an archipelago of six tiny islands in the Norwegian Sea, ninety-five miles north of the Arctic Circle, they form a bond that fortifies them against the turmoil of their distant homes, offering solace amidst great uncertainty. 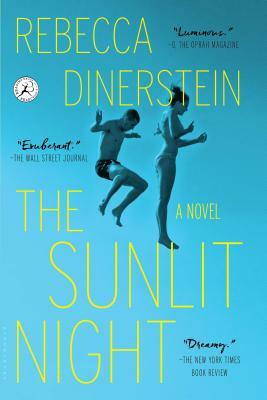 With nimble and sure-footed prose enriched with humor and warmth, Dinerstein reveals that no matter how far we travel to claim our own territory, it is ultimately love that gives us our place in the world.